Basalt is a hard, fine-grained black body stoneware first developed by Josiah Wedgwood in 1766 and perfected in 1769, with Wedgwood proclaiming ‘Black is sterling and will last forever’. Wedgwood being a badass (more here), his Basalt was far superior in appearance to ‘Egyptian Black’, an earlier form of black stoneware made by other Staffordshire potters. (Staffordshire, in the midlands of England, was the powerhouse of pottery production in the 18th and 19th century). Basalt’s name was inspired by classical sculptures carved from Egyptian basalt - a hard, volcanic rock. Its rich color comes from the addition of manganese to reddish brown clay which turns it a deep black during firing. Wedgwood’s basalt pieces were mainly inspired by classical forms, both in shape and in decoration. 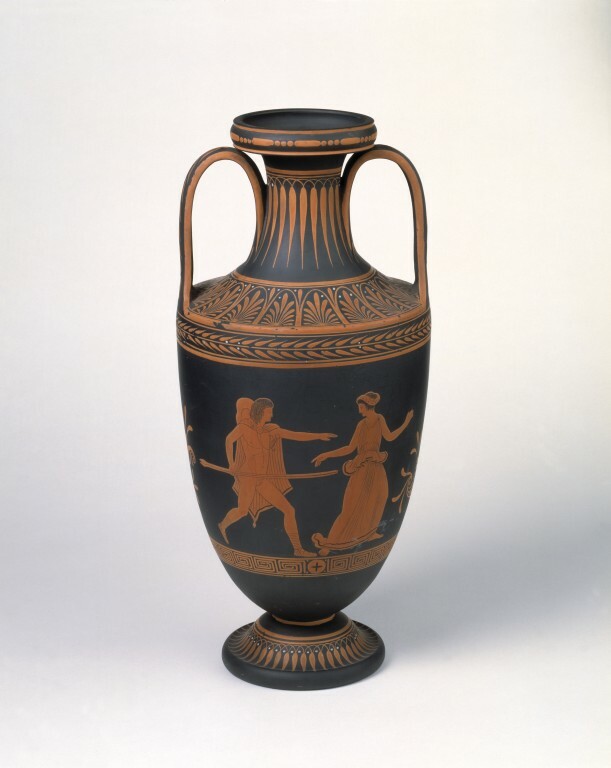 However, unlike the Greek originals, the decoration on Wedgwood's basalt is painted in red on the black body. He called this type of painting 'encaustic', a term originally used for the ancient Greek and Roman technique of painting in which pigments are combined with hot wax. Wedgwood's encaustic decoration was painted in a mixture of enamel pigments and slip (a mixture of clay and water), and then fired onto the surface. It’s the simple engine-turned or undecorated pieces that we usually gravitate towards the most, so modern in their minimalism. I always love how surprised visitors to the store are when they learn that a piece they’re admiring is from the early 18th century and not contemporary. 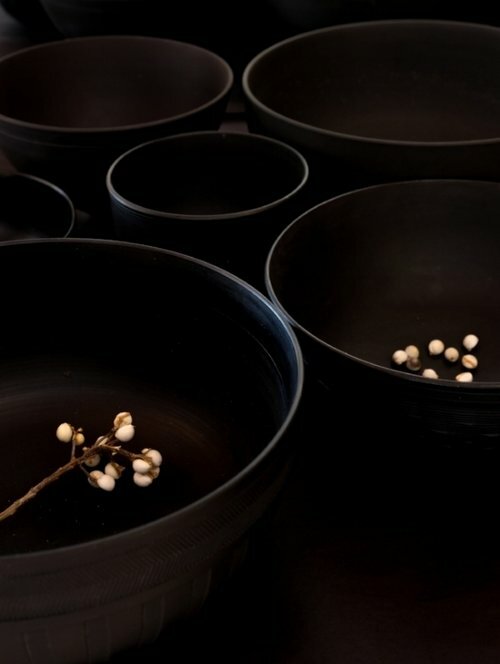 In 1998, James Turrell collaborated with Irish ceramicist, Nicholas Mosse, on a collection of ‘Lapsed Quaker Ware’, inspired by Wedgwood black basalt, which Turrell had seen in the vaults of a country-house museum in Leeds, England while he was working at the Henry Moore Sculpture Trust. The pieces reminded him of the ceramics he used while growing up in a Quaker community in California (Wedgwood was also at one time a Quaker). As Art Critic, Brooks Adams, noted, Turrell’s Lapsed Quaker Ware shows viewers that looking at ceramics can be as hallucinatory an experience as floating in one of his ‘Ganzfeld’ rooms, each piece imbued with the energy of a black hole, simultaneously invisible and tangible. Though we’ve never looked to specialize in any one category of antiques, of the many categories we do collect, basalt is probably the one we continue to collect and obsess over the most. Come nerd out anytime!